Let’s start with defining a website’s conversion rate. 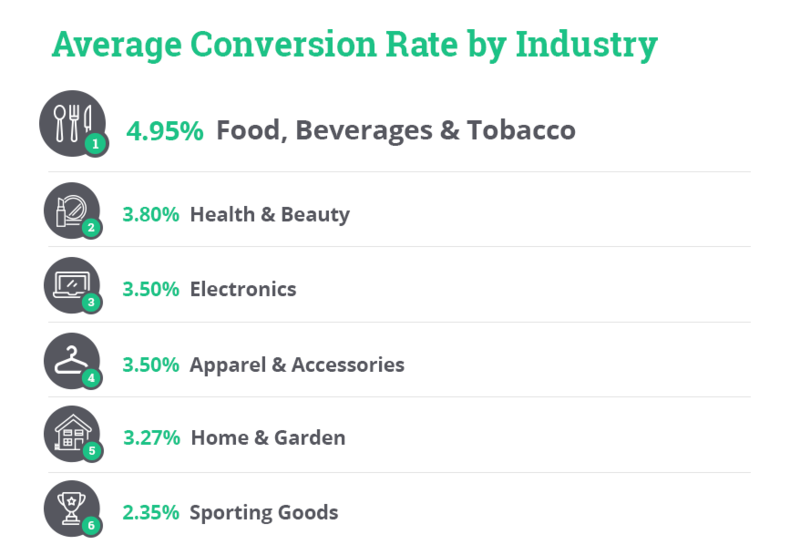 Conversion rates are really useful statistics to see how well your website is performing. A website could have a really good flow of traffic, but if that traffic isn’t purchasing anything, that great stat becomes invalid. It’s important to keep an eye on your conversion rate, as over time it may dip or sky rocket, and by keeping a regular eye on the stats, you should be able to pin point why things have gone up or down hill. It’s easy to see your conversion rate in Google Analytics. Though it mostly relates to eCommerce, brochure sites can have conversion rates too. 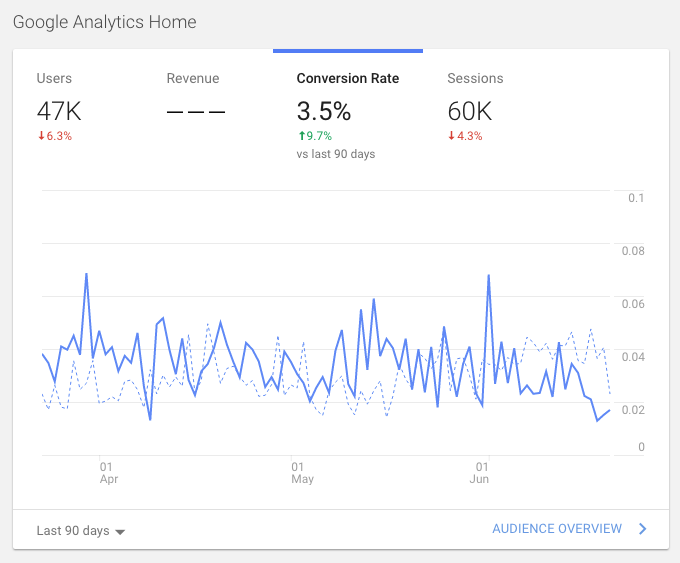 Google Analytics can be set up in a way where website owners can identify what a ‘conversion’ equates to on their site, whether that’s purchasing a product, downloading a brochure, or filling in the contact form. Online stores are able to analyse how many people were on a site, how long they spent browsing, and their sales. Not to mention being able to view whether customers abandoned their basket and left the site or their general browsing patterns – something which physical stores would find much harder to track. Design, layout, and functionality can dramatically change these stats. 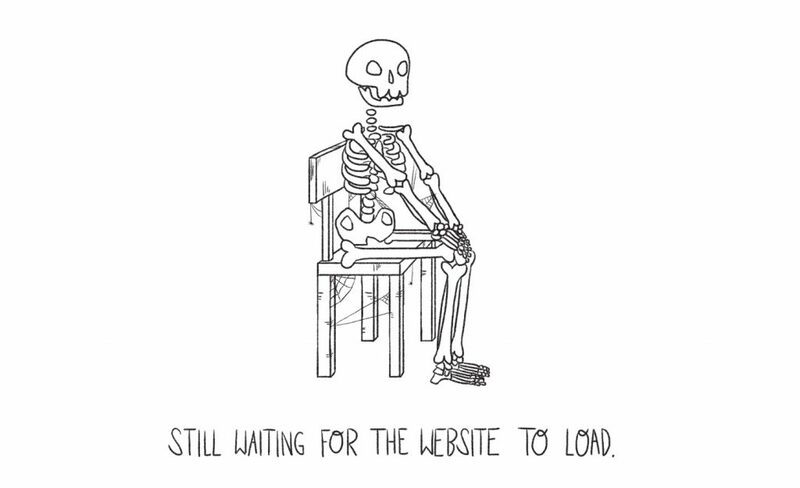 So… how can you improve your conversion rate? Conversion rate will tell you whether your site is doing well or not, but you won’t be able to tell how much better you could be doing – i.e. how many customers come on to your website and either leave before adding items to their basket, or abandon their basket before checking out. 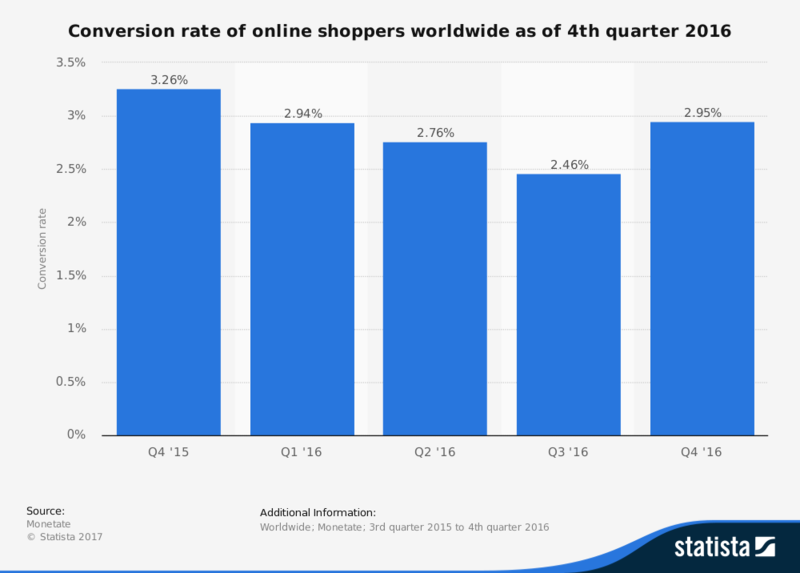 These are crucial stats which can help you see if you need to do anything to your site to increase your conversion rate. On average, for every 100 visitors you get to your site, between 2 and 3 will purchase a product or service. 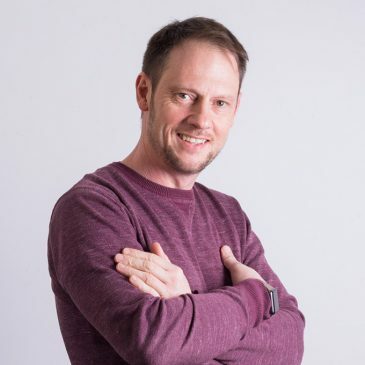 Though there are many aspects of your site which may be affecting your store’s conversion rate, the checkout is surely the most frustrating place to lose a potential customer – after all, they’ve put in all the effort of adding their items to the basket, why would they abandon it at the last minute? A poor design, a slow load time, or a dodgy-looking external pay point could easily put anyone off purchasing from your site. 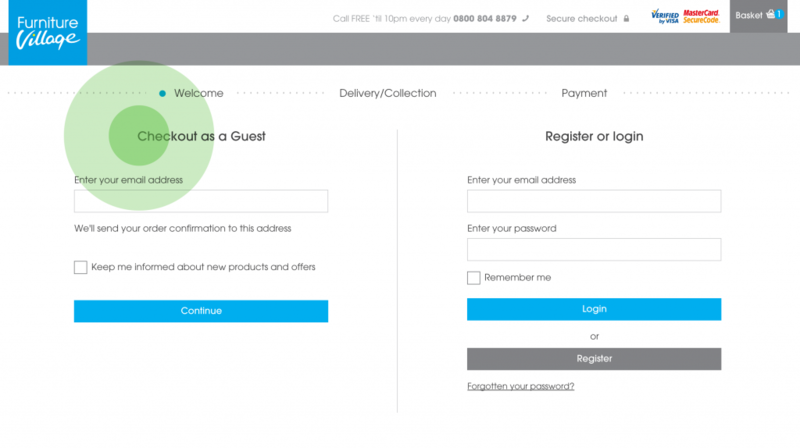 We’ve compiled 6 elements of a checkout that would put users off completing their purchase, and turned them into ways to make it better, and consequentially, rise your conversion rate too. 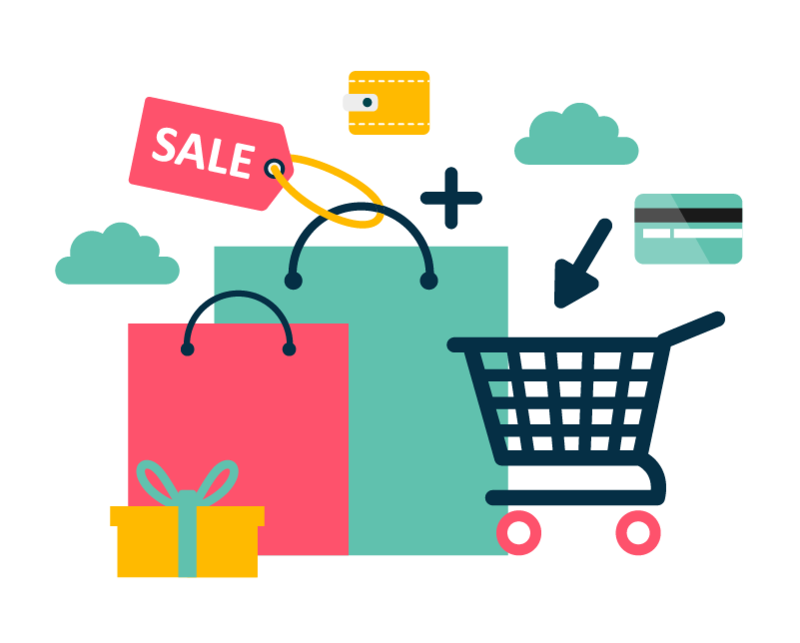 As a general rule of thumb, your user should be able to land on your site, add a product to their basket, and reach the checkout, in under 4 clicks (though obviously this is subjective according to the purpose and deliberate set-up of your site). The more pages your user needlessly has to trawl through, the more likely they’ll get bored / annoyed / lost before they can check out. The same goes for the checkout itself! We install one step checkouts on any new site build – this makes the checkout process quicker to complete, and eliminates the risk of a slow loading time within the paying process. Being able to fill out and freely amend all the details on the same page is great for UX, too. Why why why? Don’t give your customer any reason to leave the checkout once they’ve arrived. You wouldn’t point out a sale of the shop across the road while you’re scanning a customer’s purchases, so why do the online equivalent? Stick to this simple rule: don’t distract your customers. If your payment process looks dodgy, customers will steer clear. Make sure you include security badges that you use in order to keep user’s minds at ease. 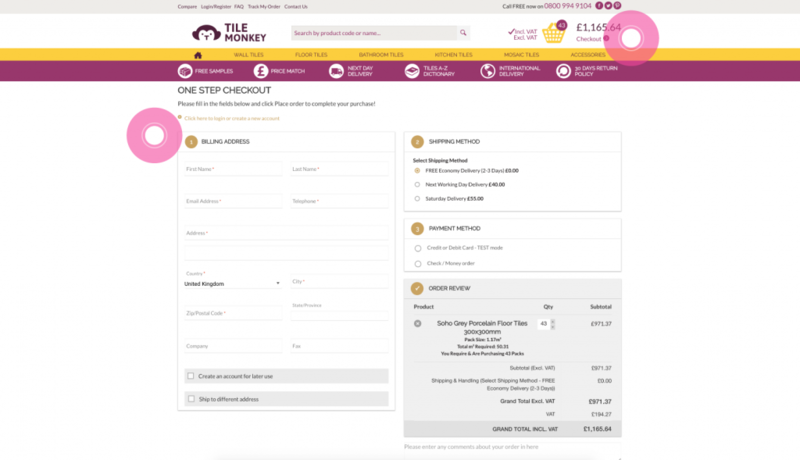 Generally, your checkout should have the same branding as the rest of your site – if it’s different, customers will rightly question why. As well as this, it’s generally not a good idea to take the user from your site to an external site to pay. Unless it’s a well known brand (like PayPal), your customers might not be confident in trusting a third party with their bank details. Not everyone wants to sign up for an account and get daily emails. Remember when you had to sign up for a Matalan card at the till? There’s a reason they stopped this – because it’s ridiculous and customers hate it. Don’t give your users any reason to abandon their basket at the last stage – give them the option to check out as a guest – they want their products as much as you want a sale. Give your customers as much choice as possible. If you can, let them pay through PayPal or American Express. 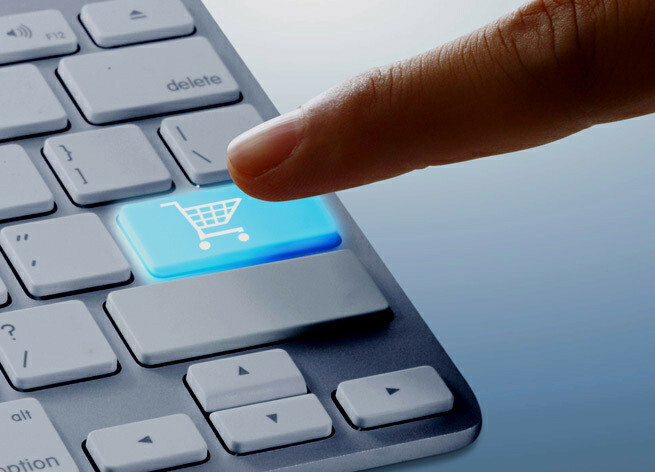 Give them different delivery methods to pick from – click and collect, pick up at shop or depot, next day delivery, and standard delivery are all very commonplace among online retailers – you don’t want to give a poorer service than your competitors, so make sure your options in the checkout are top notch. If you rectify these parts of your checkout process, your abandonment rate at the checkout stage will drop, and your conversions will increase. For a broader site overview, head over to our blog about the main UX issues that might be costing you a ton of money in lost sales.